Fine drinks, flash dancing and a whole lot of class. Come hang out at Habbo's stylish club, Papa's Playhouse™. Rp encouraged. Obey the Habbo way. Represents those USDF members who have served a combined 12 months or more in any military owned by Sycron since 2004. Grants access to any headquarters operated by the Department of the Navy. VIP Access is 40c payable to the CNO. Granting exclusive access to the <UK> Headquarters. Privileges: Upstairs access, private room, disc server. Can be purchased from anyone with rights on this badge for 15c. (star next to their name). For members of the JDST. Join the badge for room rights. All the Military News you should be aware off! Join this official badge today, and support all the upcoming projects our fellow habbo players have to offer. For all of those who served in (USMC) and/or (DOD)! This badge is proof of you're service under the control of Defense.gov and Controllable. This group shows who is a soldier to the United States Army ran by CSA, -. Personnel ranked E1 and above must display this badge in order to gain access to the United States Armed Forces Headquarters. The Expression of Interest (EOI) badge is for those wishing to transfer to the U.S. Marine Corps. To apply for Headquarters, U.S. Marine Corps (HQMC), please contact General "Asoq". The Headquarters, U.S. Marine Corps (HQMC) are responsible for the, but not limited to, discipline, internal organization, training, requirements, efficiency, and readiness of the corps. The Common Access Card (CAC) grants all active, reserve, and civilian military personnel access into the Headquarters. One must be the minimum rank of (E-4) Corporal to request this badge. Request this badge, if you're interested. Wearing this badge identifies yourself as a supporter of the British Army. Currently led by CGS: Metromental, and also acts as an indentification method for those between the ranks of OR-1 to OR-2. The official group badge of the United States Army. HOOAH! Strictly for OJFD members ONLY! The Army Personnel Centre (APC) is responsible for personnel readiness moderation and career management for all personnel employed by the British Army. This badge represents the soldiers ranked Lance Corporal (LCpl) and above who are currently serving the British Army which was originally established 12th February 2014. 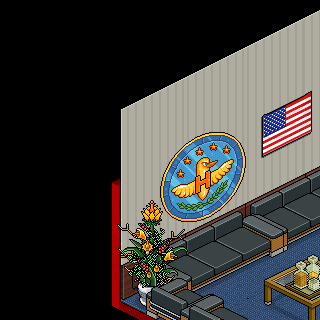 This group badge shows who are special visitors to the U.S. Department of Defense. People of this badge are the Very Important People of the U.S. Army owned by CSA, Wobbuffett. VIP costs 20 coins. Taken in this room on 15 July 2015 and received 0 likes.